Whether you’re looking for glasses for the office or a late night Netflix binge. 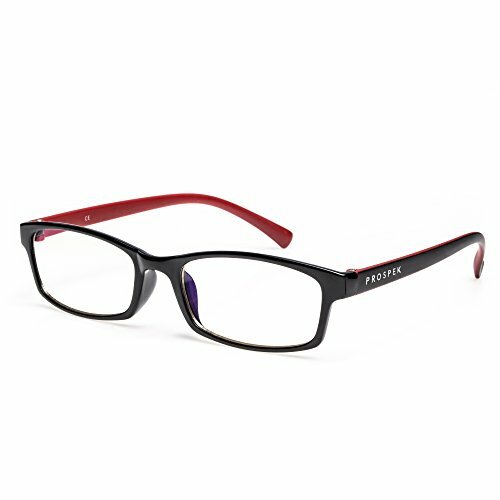 PROSPEK glasses give you premium protection against eye fatigue. All of our electronic devices give off excessive quantities of blue light (smart phones, tablets, laptops and desktop computers). This blue light messes with your internal clock and stops your body from naturally producing melatonin, the hormone that helps us fall asleep late at night. If you have any questions about this product by Spektrum Glasses, contact us by completing and submitting the form below. If you are looking for a specif part number, please include it with your message.